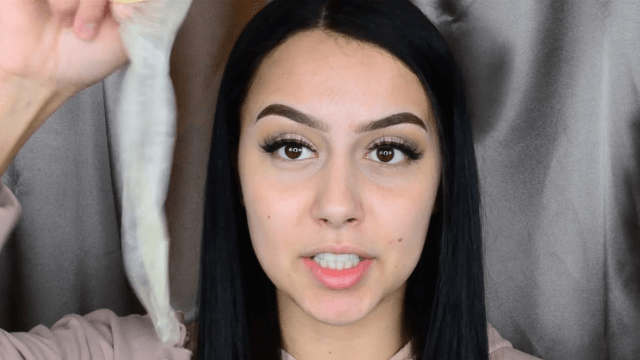 This beauty blogger highly recommends using a condom to do your makeup. Yes, a condom. Beauty blogger Laila Tahri has found an alternative to having to squeeze out a beauty blender sponge by using proper protection. Yup: a condom. Tahri got the idea to practice safe application, and after rinsing the "stuff" that comes on the condom, she slid her sponge right in. "It blended out my foundation so beautifully!" she concludes, as the schmearing process is uninterrupted by an absorbent applicator. It's very mesmerizing and quite weird to watch. If you're putting on makeup before a date, using the condom is a great way to make sure you'll be using a condom later. And once you invest in a stash, you can always play Aquaman.